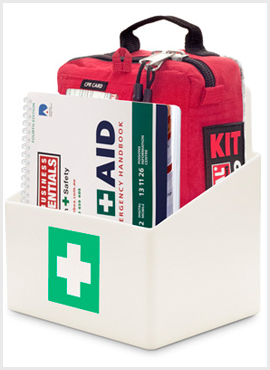 This first aid kit for the home or office contains all the first aid components that you need to respond to an emergency. This kit constantly exceeds our customers’ expectations. 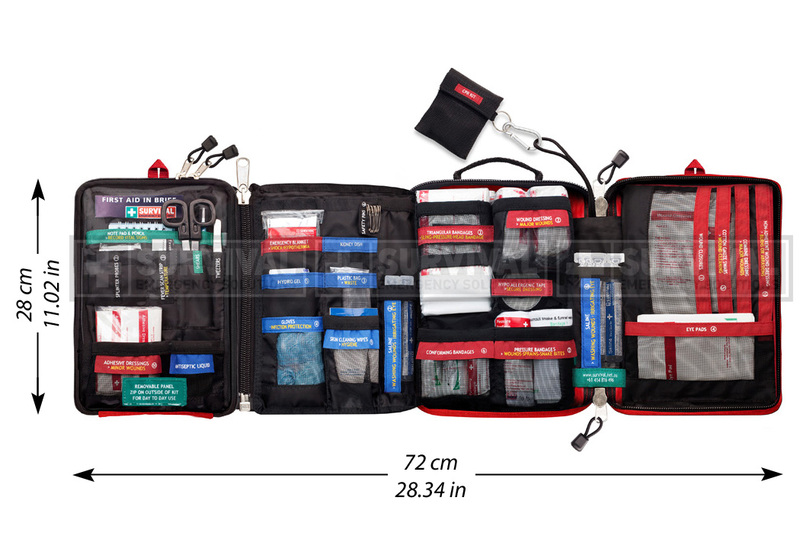 Once unzipped, this kit folds out to be 72cm/28.3 inches wide and it’s jam packed with everything you need to save a life. The kit has been designed to remove the stress of trying to find the right component. Each component is smartly labelled telling you what the component is and what it typically is used for. The label also tells you how many of each component you should have. This makes it easy for restocking. Each component has a colour on it (blue, green or red) to represent the different purpose the item has. The bag itself is rugged, durable and water resistant. It’s made with strong zippers and has double stitched handles. Inside the bag, you will find a personal space section. 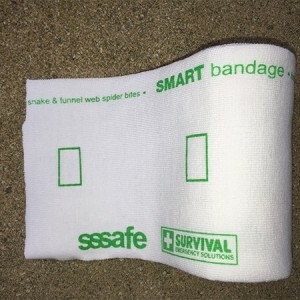 It’s a meshed area with a zipper that allows you to slip in your own medications or extra first aid components that you require for your workplace. 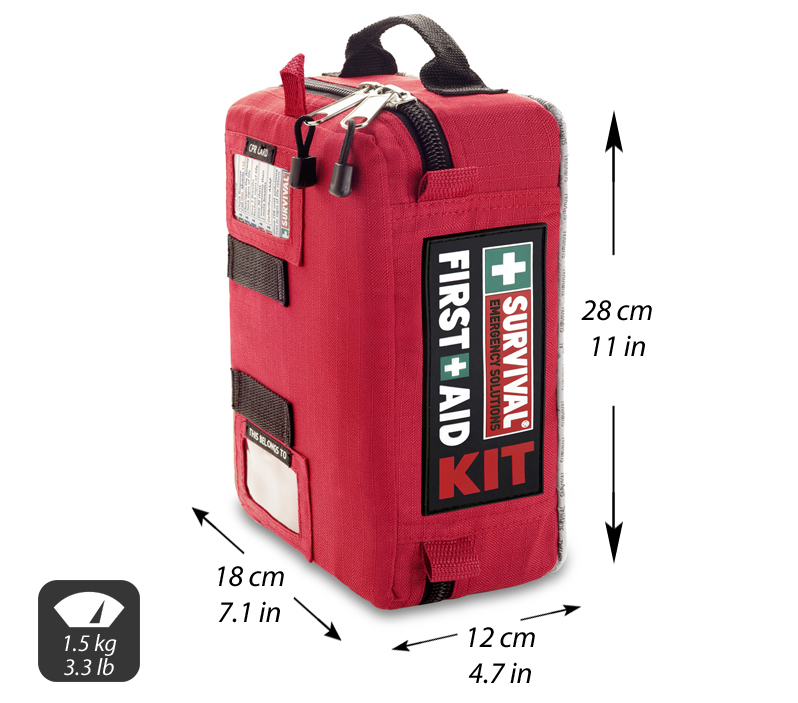 You have the option to use a removable panel by unzipping the panel from the inside of the kit and place it on the outside of the kit through the use of built in velcro. The removable panel contains all the items you are likely to need for day to day use. This kit makes sense. 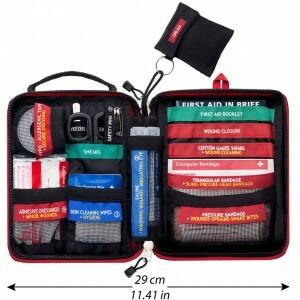 It is far and away better than any other first aid kit on the market. Make sure you make the right choice for the home or office.